Are you searching for Willow Tree Orlando? 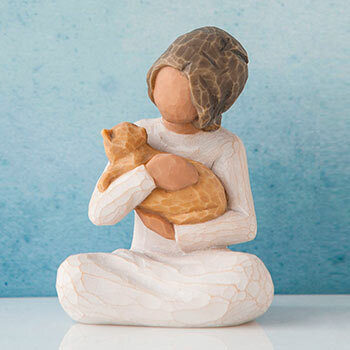 The Willow Tree® intimate line of figurative sculptures speaks in quiet ways to heal, comfort, protect and inspire. 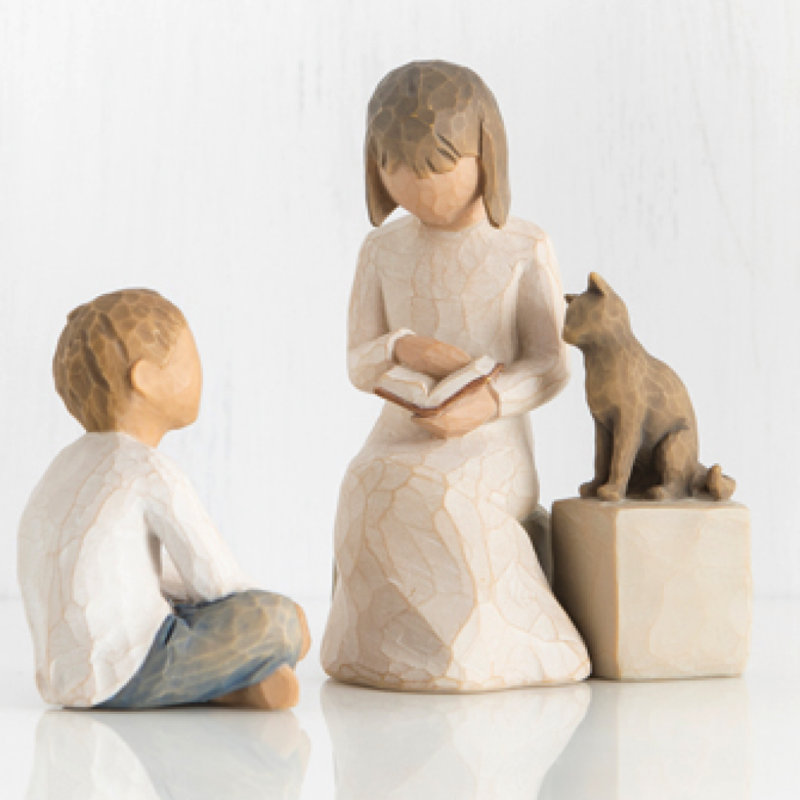 Handcrafted and carved by Artist Susan Lordi, each original piece is cast from her original carvings, and individually painted by hand. The expression is revealed through gestures only – a tilt of the head, placement of the hands, a turn of the body. 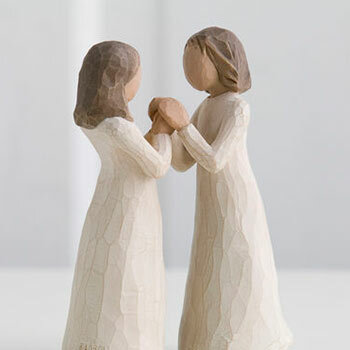 The simplicity of form and absence of facial features signify Willow Tree. 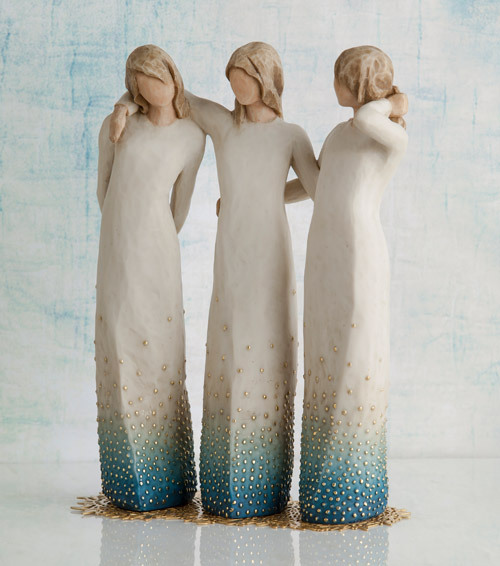 It is Susan’s hope that these pieces be meaningful to both giver and receiver. 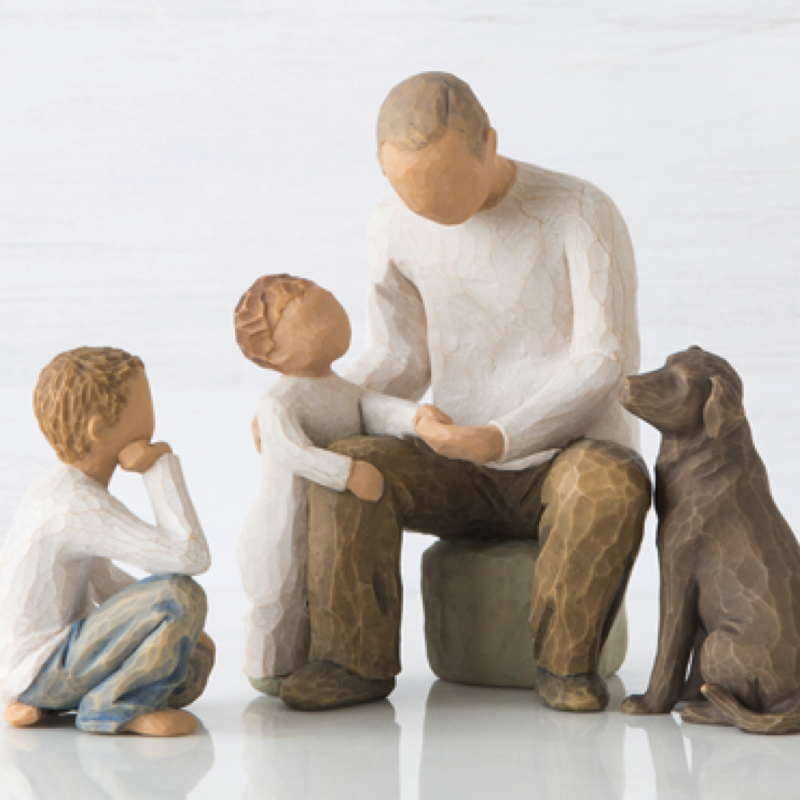 Each beautiful piece is the perfect addition to your home, to celebrate life’s most meaningful moments or to gift to someone you love. 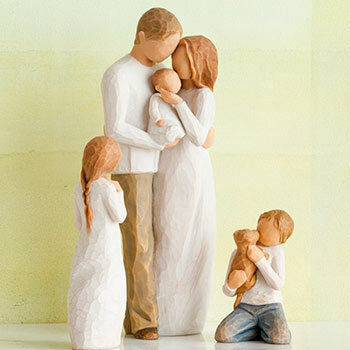 Our favorite part of the Willow Tree figurines is building our family gathering. 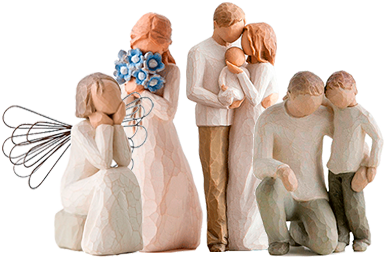 Each collectible figurine can be configured to create the perfect scene to reflect your unique family. 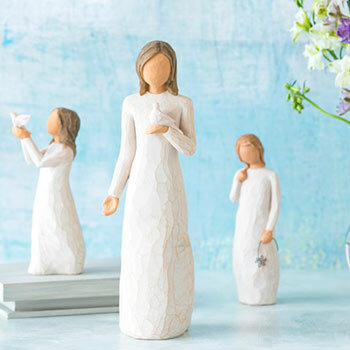 Since each figurine expresses emotion in small ways, such as the tilt of a head or small touch, building the perfect moment is easy and fun. To so many families, pets are always a part of the family. In our Willow Tree world, it’s not any different. Our favorite family gatherings and moments include our favorite feline friends. 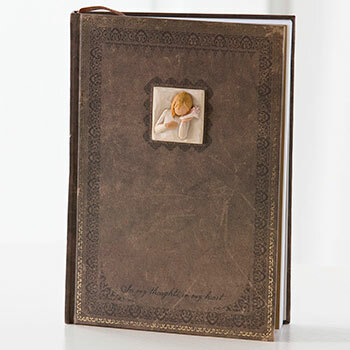 The sweet nod of the heads and calm, peaceful demeanor add to any scene. It’s the perfect way to complete your favorite family gathering scenes. We love our brothers and sisters. The moments they share with us are eternal. No one else can understand growing up in our families like a sibling can. 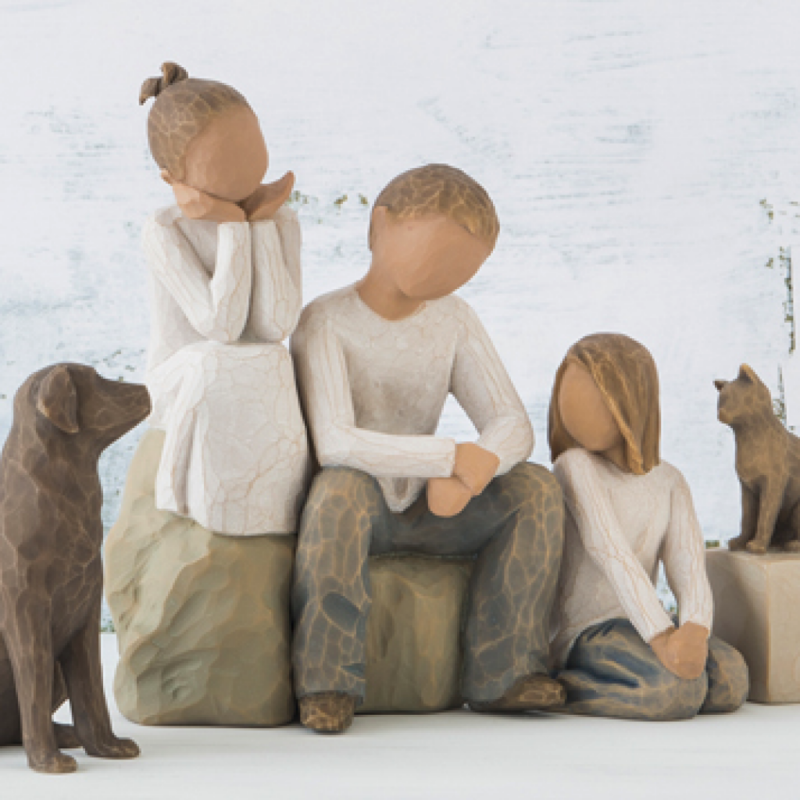 Willow Tree family scenes are the perfect way to present the special bond between brother and sister. 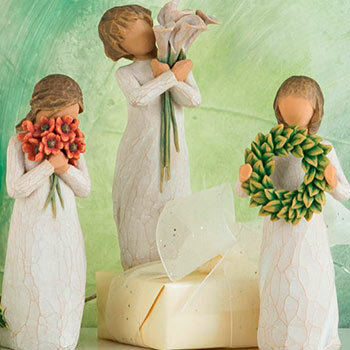 Create your favorite gatherings that celebrate the lifelong relationships that siblings share.